In this episode we introduce the purpose of the show & breakdown why we think light rail is not the solution for Nashville. Watch this short video about some of the more affordable alternative options we need to consider. 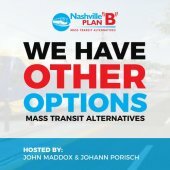 In this episode we discuss the extremely high cost for light rail and some serious concerns about how we pay for it.